Welcome to my little slice of blog-land! I have a card that I want to share with y'all. I made this card for a new friend. A lady I know introduced me to her yesterday. We are both stampers and really do love what we do. Anyways, long story short, we hit it off! I had such a grand time chatting with her, that I set out into my craft room, pushed a few projects to the side, and started working. I knew that I wanted to make her a card, and I knew that I wanted to use a new stamp set I acquired, but needed some direction. So, I set out to search my favorite challenge sites and see what this week had conjured up. Just Us GirlS has recently changed their challenges, so I set out to see what they are doing this week. 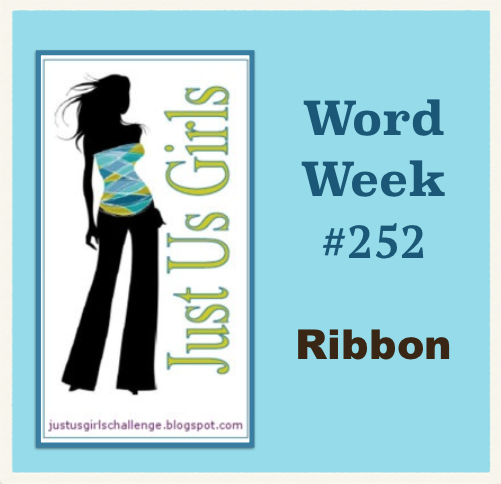 This week, their challenge is to use Ribbon! Well, I can do that. It is probably one of the embellishments that always seem to find a spot on my crafts (along with a button, or two [smile]). Cardabilities always has a wonderful sketch. Their sketches are easy to work with, and easy to translate into the style you already create in. Gotta love that! 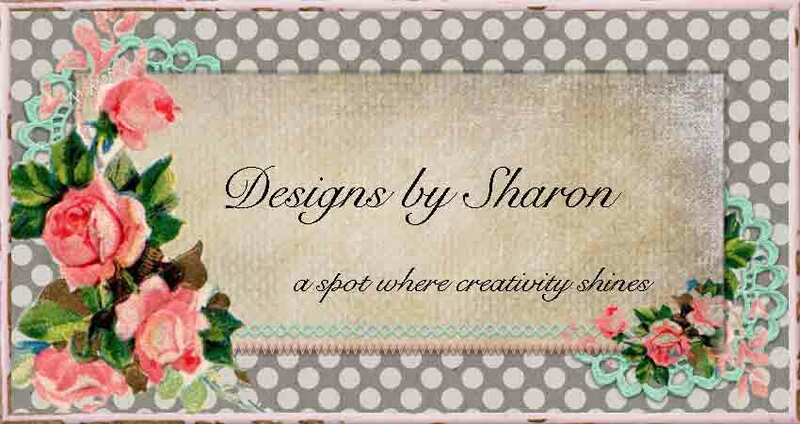 Diva's by Design is a new challenge site for me. They use a variety of different challenge elements each week, so its' not always the same. Variety is the spice of life, right? These gals really love to mix it up! So, this challenge site is a new favorite of mine! Here is what I used, and how I put it all together: I started with kraft card stock from Paper Trey Ink. They have wonderful heavy weight card stock. I took a piece of Nostaligia pattern paper by My Mind's Eye, and cut it down to 4" x 5 1/4". I used a background chicken wire stamp from CTMH and inked it in going gray classic ink by Stampin' Up! and stamped on the right lower corner and the left upper corner. I then inked a text stamp from Stampin' Up! in crumb cake classic ink, and stamped over the chicken wire image. I ran this piece through my sewing machine. (I didn't want the stitches to show on the inside of the card.) To give this layer some 'interest' I did a zig zag stitch on the left upper corner. The scallop piece is the other side of the colored dot pattern paper. 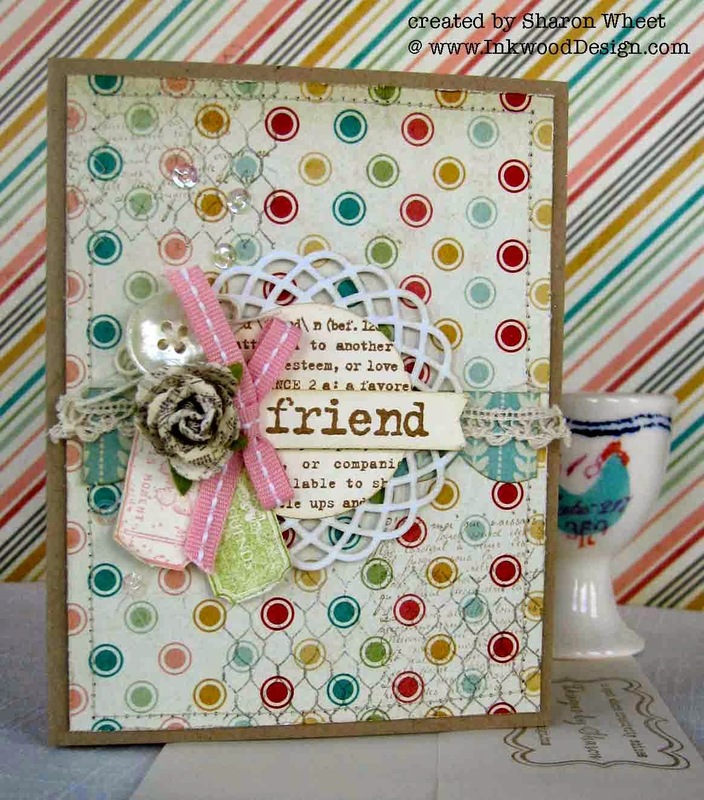 I used the Tasteful Trims die from Stampin' Up! to create that piece. I used a zig zag stitch to hold the crochet trim to this scallop piece. I purposely left the ends unfinished. I thought it added some vintage charm to the card. I used a Martha Stewart doily and sponged the edges with crumb cake classic ink. The doilies are bright white and it looked too new, so I aged it a bit. 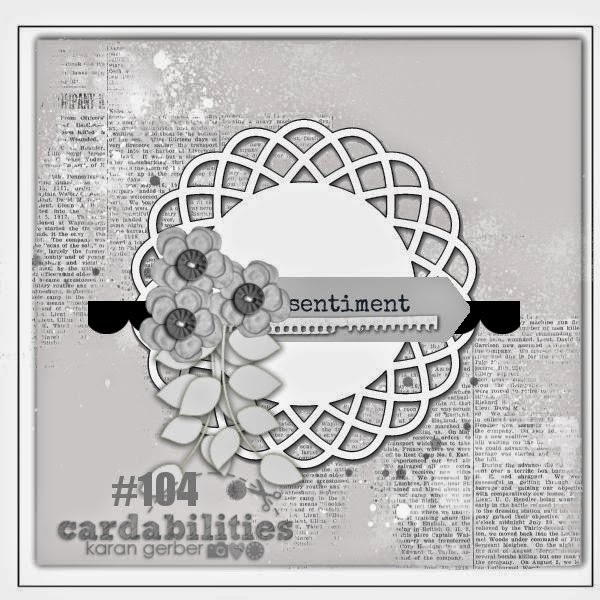 I used the Lexicon of Love stamp set by Stampin' Up! to create the text in the circle, as well as the sentiment on the banner. I stamped both pieces in Baked Brown Sugar classic ink, and stamped onto very vanilla card stock. I used my 1 3/4" circle punch to create the circle, and I cut the banner by hand. I sponged all the edges with crumb cake classic ink. I adhered the circle/doily with foam tape, due to the bulk of the crochet trim. I adhered the banner with foam tape to lift it off the front of the card. I tied a simple bow with Blushing Bride ribbon. I tucked a paper blossom by Recollections (#277003) just inside the bow. 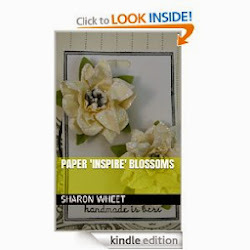 I tied some cream twine to the button and adhered it just above the paper blossom. I tucked two tickets I created with a Prima Cling stamp set #555153. I stamped one ticket with Blushing Bride classic ink, and the other in Pear Pizzazz classic ink. Both tickets were stamped onto very vanilla card stock. I only added adhesive to the top of the tickets as they hand below the doily. I also added 5 iridescent clear sequins to the left side of the card. Two sequins by the tickets and three sequins above the button. Thank you for stopping by. I hope that you have been inspired to create something beautiful! and play along with your favorite challenge! 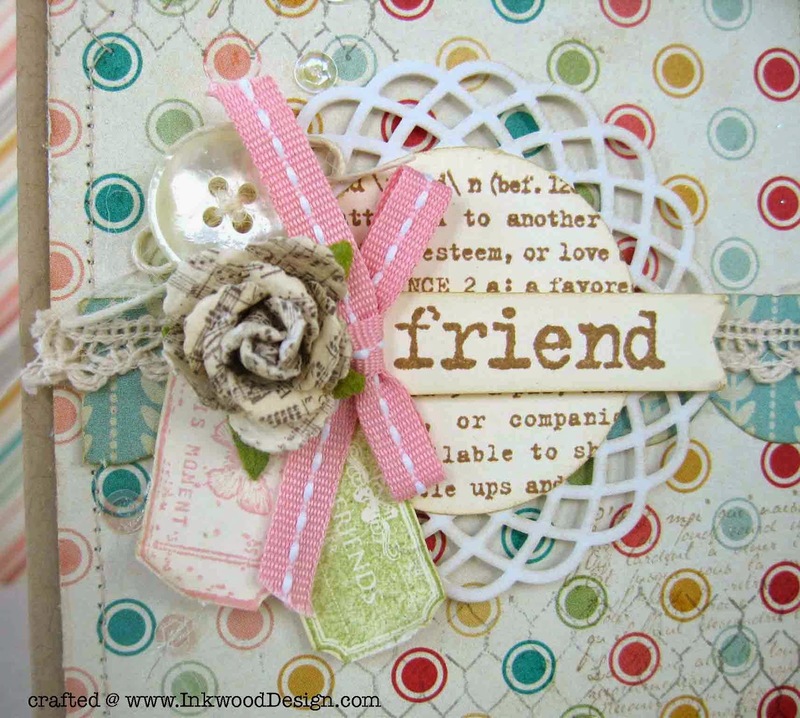 What an awesome shabby chic card! the ribbon ties (ha ha) it all together! Thanks for joining us at Just Us Girls! Not sure what I enjoyed more...your card or the fact that you made a new friend and set out to make her a beautiful card. She sounds lucky to have met you as well! Thanks for joining us at JUGS!